The Papio Missiouri River NRD has awarded a $4.2 million job to Valley Corporation for the Construction of Zorinsky Water Quality Basin Dam 2 Project, or “ZB2”. The Water Quality Basin will be located near 204th and F Streets. Once completed, ZB2 is designed to work in conjunction with the recently built basin, “ZB1”, on 204th Street North of West Center Road. Along with existing basins, ZB1 and ZB2 will protect the ground and surface water from sedimentation and polluted runoff, as well as reduce flood threats to the 1.6 mile area. ZB2 is the last of the planned water quality basins for Zorinsky Lake. “These basins retain sediment from storm water runoff protecting the water quality of Zorinsky Lake. They will increase the lake’s usefulness for recreation and flood control,” said NRD General Manager John Winkler. Over the next year and a half Valley Corporation will complete the construction of the dirt embankment with concrete dam structure and associated work including the clearing of 20 acres of trees, excavation, importing 85,800 cubic yards of fill dirt, installation of rip rap, seeding, erosion control matting, silt fence and a concrete spillway structure. 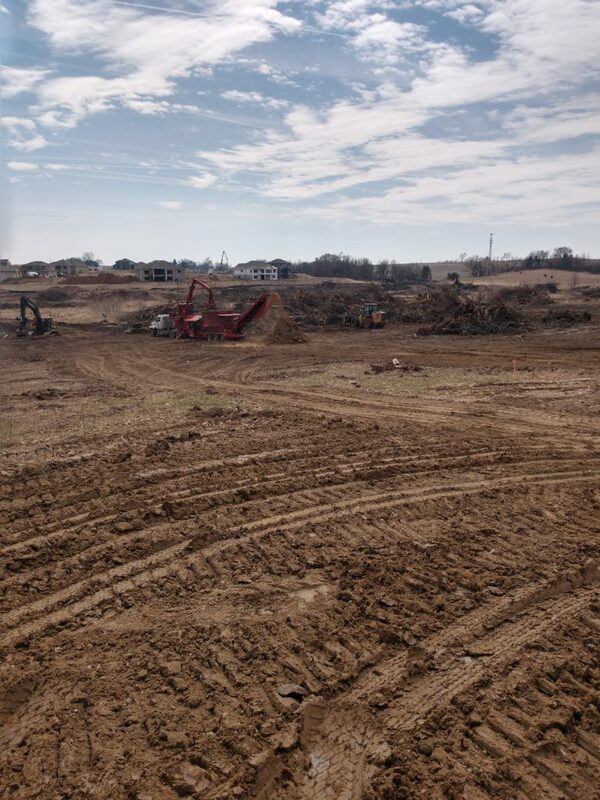 Valley Corporation will use drone data mapping throughout the course of the project to track construction progress of the large and ever changing jobsite. The software will stitch together approximately 400 photos to create a mosaic that will allow us to create a 3D model of the terrain.